Why is my SMTP service restarting? How do I control the retry intervals in the SMTP outgoing queue? SMTP Threads/Connections Hung/Open and not closing properly. 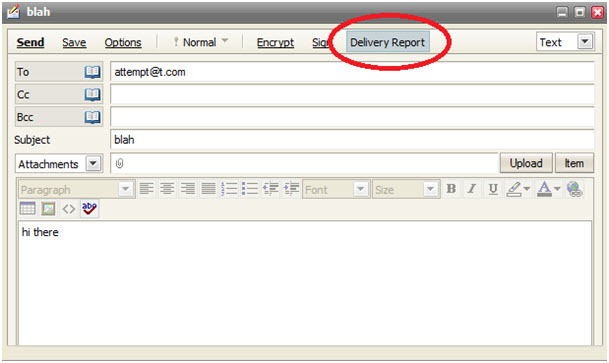 Delivery Reports provide you with the status of sent email messages. Information regarding all recipients of any sent email is available. Users who come from an Exchange environment and are used to one centralized root folder will find this configuration familiar. One problem with SMTP is that you do not really know when the message leaves your server or whether an email reached its final recipients(s). In our implementation, the server keeps logs of all recipient statuses for each message (and its Message-Id). The WebClient then retrieves the xml report from the server and the logs are parsed in real time. Each user account has its own specific logs in its mailbox. 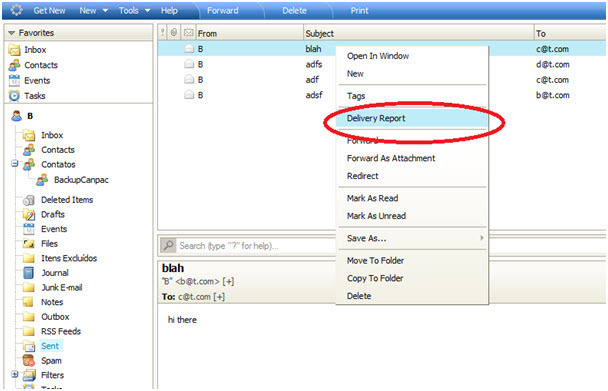 The Delivery Report can be accessed by right clicking on any message in the user’s Sent folder, or directly in the compose dialog. The report is dynamic, and the delivery status changes as the messages are sent, leave the server and are delivered or bounced back. 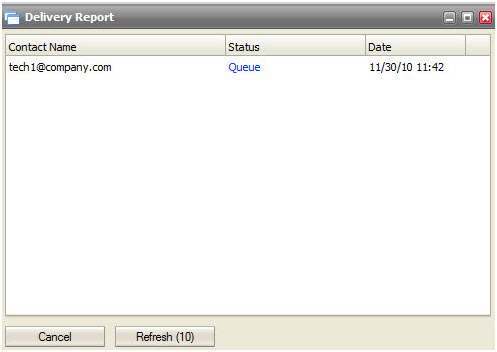 A dedicated Delivery Report window is displayed with all recipients and their statuses. Notifications are grouped by status (Sent, Error, Queued etc.) for easy reference. 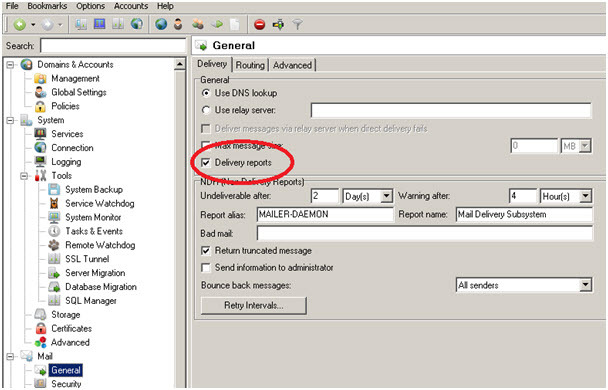 To generate a delivery report for an email as you compose it,, click on the Delivery Report link, which will no longer be underlined.